Most of you know me for my romance books. I've written lots of them! However, I've had a story brewing for well over a year now that is different to all the rest. 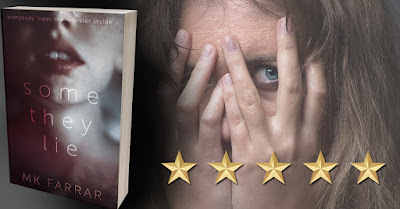 This one is a psychological thriller, and if you like your books to make your heart race for a whole different reason, and have lots of twists and turns, I hope you'll enjoy Some They Lie. The man hung by his wrists from an iron hook embedded in the ceiling. She stood in front of him, staring, contemplating her next move. His jaw pressed against his bare chest, creating the appearance of a double chin where normally there was none. Unconscious, for the moment, his whole body hung loose and slack. Because of the low ceiling, the toes of his boots skated against the floor, giving him the barest modicum of relief from the pressure in his wrists and shoulders, but only when he was conscious enough to balance. The rope securing his wrists didn’t keep her safe. It was the gag between his lips that kept danger at bay, though she knew if he ever managed to work it free, things would be different. He’d affected her already, made her do things she’d never believed herself capable of, and she wouldn’t make that same mistake twice. Red stripes licked across his naked torso, the result of the cane she’d been forced to use. She needed answers, and while she couldn’t risk removing the gag, there were other ways she could get him to reply. His refusal to give her anything had made her hurt him, but still he shook his head in defiance every time she asked him what she needed to know. She took no pleasure in the job, but she had to be brave. It was all she had left, and she wouldn’t let this man—this monster—win. He’d underestimated the lengths she’d go to in order to make things right. Even with everything on his side, all of his power, she’d still managed to overcome him. The man let out a muffled groan and began to stir. Nerves jangled through her system, and the sour taste of fear coated her tongue. As he woke, her pulse quickened, her breath growing shallow in her lungs. She tightened her fingers around the cane and rolled out her neck and shoulders. It was physical work her body wasn’t used to, and tension knotted her muscles. As she lifted her arms, her shirt sleeve rode down, exposing the flash of white bandages and the striking slash of red where the blood had seeped through. This was taking its toll on her, but she had to continue until she got what she wanted. 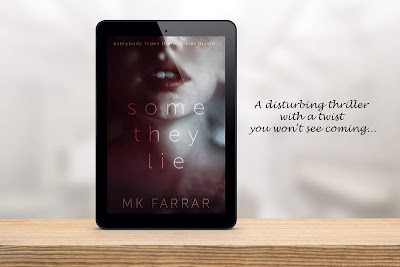 Some They Lie is available exclusively at Amazon for a special new release price of only £0.99/$0.99 and is free to read with Kindle Unlimited!